Pinterest, loved by many, especially those with highly visual products. You can place an advert on Pinterest in a few relatively simple steps, really, it just breaks down to matching your intent to your advert. Then comes setting your targets and audience and finally, watching how everything performs over time. Until recently, you needed a lot of capital to be advertising on Pinterest… the figure of a million dollars was flying about, but now, Promoted Pins are available at a much lower cost, and accessible to businesses of all sizes. 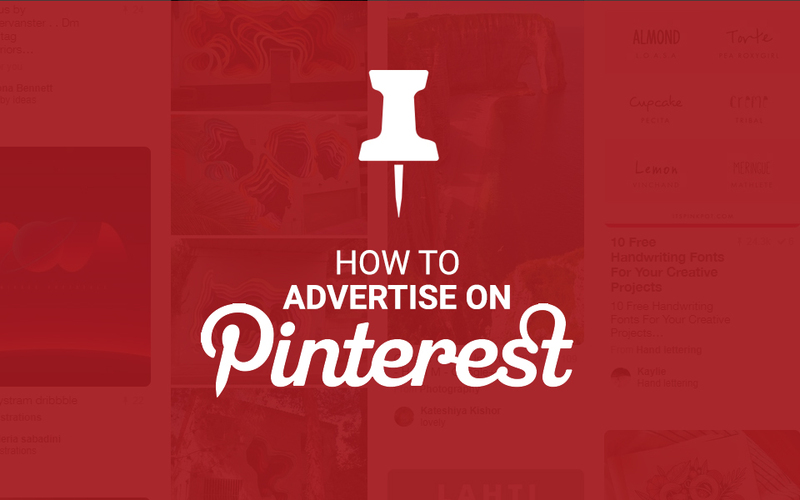 So how do you set up your adverts on Pinterest? Pinterest themselves will tell you it’s as simple as following the easy steps on their website, but if you want to stand a good chance of winning some business against your competition, there’s a little more to it. Other specifics of what you can and can’t post are available on Pinterest’s terms and conditions, but for now, let’s assume that you’re Pinterest friendly and ready to kick your social media advertising strategy into shape! We’re guessing that you already have a private Pinterest account (because, frankly, who doesn’t these days?) so you can simply switch that one over to having a business account. Or, if you feel like keeping your party based mood boards away from your business, you can set up an entirely new account. Fill in the boxes and away you go. The three options come with different pros and cons, and different charges to match. Building your brand awareness is charged per thousand impressions (CPM). Boosting engagement is charged by every engagement on Pinterest. And finally, getting more traffic is charged by the clicks through to your website. The logic is that the first option will get you seen by more people. The second gives you the chance to track more of what’s happening with your audience and their intent. The third is about getting a motivated audience over to your content so that you can make a sale, or do whatever else you’re going to do. Deciding which is the highest priority to you is going to impact a lot of what results you will get. At this point, you also need to set your maximum daily budget for your campaign, and you’ll also have the option of setting an end date for your campaign. If you have a specific pin in mind to promote, great, if not, Pinterest can help you with that too. You can use the filters on the “Pick a pin” screen to see which pins have been your most engaging, both in terms of clicks and repins in the last 30 days. This way, you can get a feel for what’s already working for you. Step 3: Set your targets and their landing site. Now, do not misunderstand the above, you are not sending people to a landing page. That is a big Pinterest faux pas, and it will cost you time, effort, and possibly some sanity too. So, when someone clicks on your pin, where are they going to end up? Hopefully, it’s going to be a page directly related to what they’ve just clicked, no one wants to be misled after all. It is worth remembering that Pinterest vets all adverts connected to their site, and specifically prohibit misleading and exaggerated claims about what the Pinners can expect. This should be fairly simple, just be honest about who your brand is and what you’re selling. At this point, you should also be using UTM tracking parameters to collect tracking information. Now, choose who will see your promoted pin by dictating a few different things. Your Pinterest ads targeting strategy will come from Pinterest recommended keywords and interests, from there, Pinterest will provide trending keywords which are relevant to your pin, and you can manually add keywords to the list. Are you going to target people who have engaged with your content in the past or an ‘actalike’ audience who have engaged with pins similar to yours? You can also choose what countries your Promoted Pin shows in, what devices it shows on, and you can also target genders, or not. Before you go any further, you need to figure out what is the maximum you’re willing to pay for each action on Pinterest. Pinterest’s own interface will provide guidance about whether your bid is too low, or if it puts you in line with your competitors. Before you worry about wasting your money, Pinterest works on a “second-price auction model” which means that you only ever pay the amount needed to top the next highest bidder. You won’t be charged your full bid unless it’s required. Time to check everything over and make sure you’re happy with what’s going to be going out and click “next” to submit your pin for review. Pinterest reviews all ads to ensure that they’re in keeping with that aforementioned squeaky clean reputation. This can take up to 24 hours. In the meantime, you’ll need to set up your billing details so that there’s a payment method to cover your pins bills where appropriate. Pinterest’s own conversion tracking allows you to track, not just your page visits, but also things like your sign-ups and close-ups. You can set up custom tracking by going into the Ads menu on your profile and clicking on “conversion tracking” and then selecting the types of conversion that you want to track. Pinterest will also make it a little bit easier for you by giving you a piece of code which you insert just before the closing <body> tag on the page that you want to track. Now that we’ve covered what you have to do, it’s time to consider what you can add to your social media strategy to put yourself ahead of the competition. It’s a cliche, but be true to you, and whatever your brand is. Like we said earlier, no one wants to be misled. Even if you get away with it, you’re just going to encourage distrust with your brand, which is going to cost you conversions and customers in the long run. Again, it seems simple to say, but make sure that your content is worthwhile, and not just generated to hit buzzwords and attract useless traffic. You’re paying for these adverts, after all, so you want to get the very most out of them. Getting someone onto your page isn’t enough by itself, you need to keep them and convert them to a customer too. For anyone considering including hashtags, just remember that Pinterest will only let you include one per advert, and it has to be specific to your product, so no mass generalisations. Save yourself a headache. This is not the time to use square photos which look great on your Instagram, you want it to be rectangular and (within reason) the longer the better! Because, unless you’re viewing Pinterest on a large computer screen, it’s generally quite hard to appreciate horizontal photos. If you’re viewing them on a small screen, the likelihood is that you’re going to lose the viewer’s attention to that much larger image next to yours. Because of how Pinterest is laid out, larger images that have to be scrolled through spend more time in the viewer’s eye line, and therefore have a better chance of making an impression.